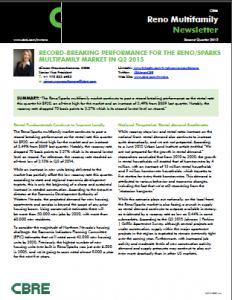 Reno’s rental market has reached a record high average rental rate for the multifamily market. Additionally vacancy rates are hovering around historic lows. 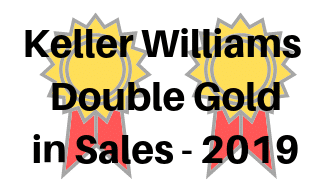 See the complete report with all the rental numbers in the 2nd-quarter Reno Area Multifamily newsletter below (click to open). 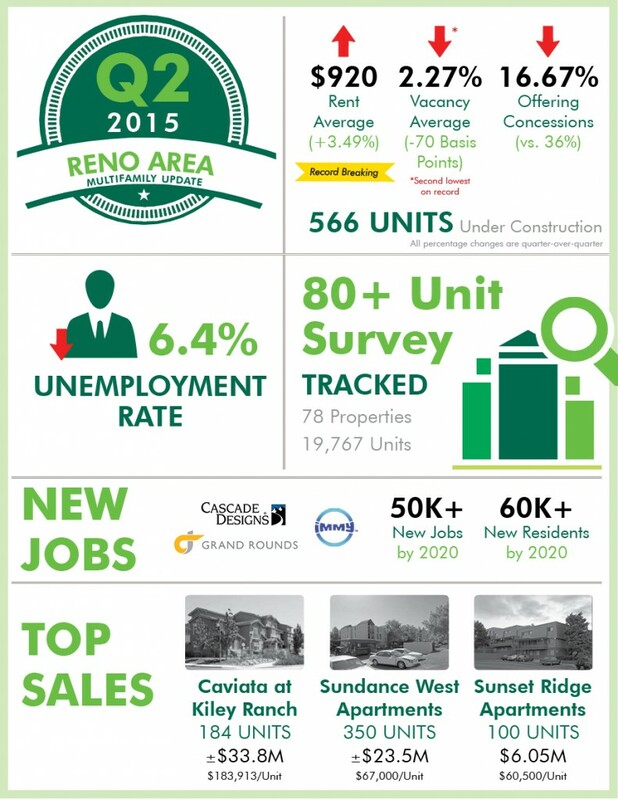 This entry was posted in Market Trends, Reno and tagged average rent, rental market, vacancy rate. Bookmark the permalink.